Cera Gemmell and Kane Elliott proved their class at the Young Athletes Road Races and will lead our Scotland teams into the London Mini Marathon next month. The pair headed the U17 fields on a great day for the development of our sport at the new venue of the Royal Highland Centre at Ingliston, near Edinburgh. Gemmell had finished second at the Lindsays National XC at Callendar Park to Megan Keith of Inverness . . . but the Team East Lothian athlete duly reversed that outcome on the road here to win by seven seconds. It was a good race between the pair, and they finished well clear of the rest of the field, but Gemmell had a decent advantage come the finishing straight at Ingliston and was home in 16.32. 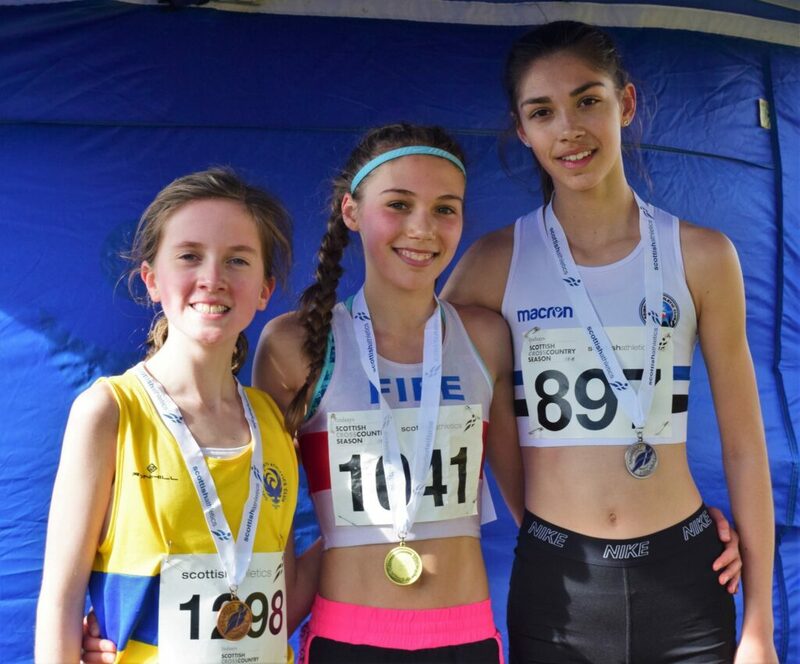 Sarah Coutts of Pitreavie AAC took the bronze medal and was thus among those also automatically selected for the London Mini Marathon – with that applying to the top four in the U17 and U15 races for boys and girls. Two more discretionary places will complete the Scotland selections. ‘It was a good race and I’m delighted to win it,’ said Cera, who won the London Mini Marathon U17 Women’s race last year. ‘To be honest, a couple of months ago I had not really heard of Megan but she has come out at Falkirk and again here and given me two really good races. She’s a nice person, as well, and the way she has been running has definitely spurred me on a bit more. The rivalry helps. In the U17 Women’s team race, Giffnock savoured glory with the gold medals as they took it from the challenges of Edinburgh AC in second and third-placed Kilbarchan AAC. 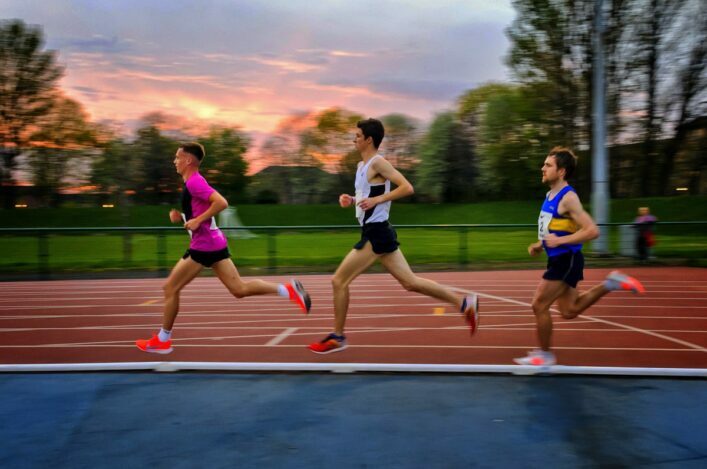 Elliott, the European Youth 1500m gold medallist last summer, came home ahead of Kilbarchan AAC’s Jack Patton and Edinburgh AC’s Joe Ewing to win over a distance of approx 5K in that age group. Elliot clocked 14.42 with Patton at 14.45 and Ewing at 14.48. 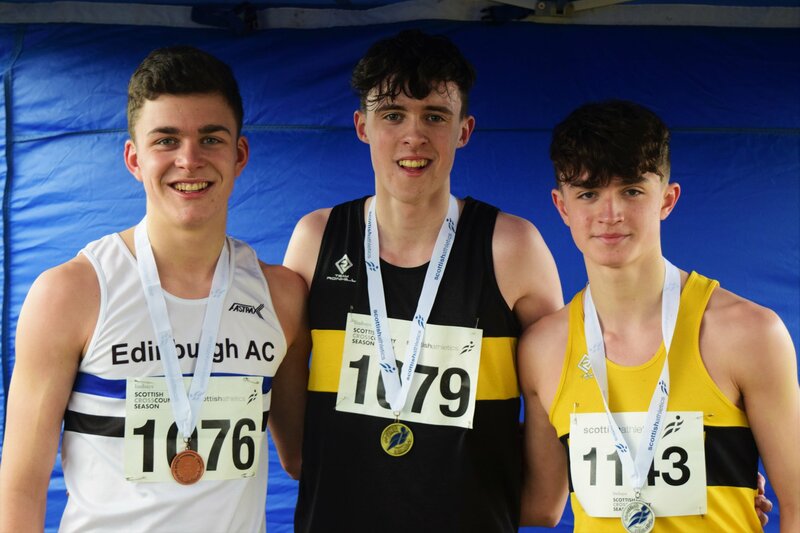 Patton’s silver helped Kilbarchan AAC take the team golds in the U17 Men’s race with Dundee Hawkhill Harriers on the podium for silvers as Garscube Harriers landed the bronzes. 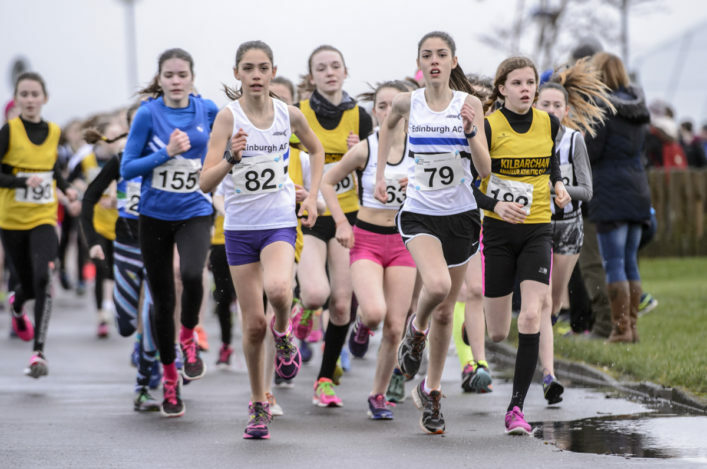 Anna Hedley had impressed at Falkirk in the Lindsays National XC and she was out in front again to take the victory in the U15 Girls race from Katie Johnson of Edinburgh AC and Hannah Ryding of Giffnock. 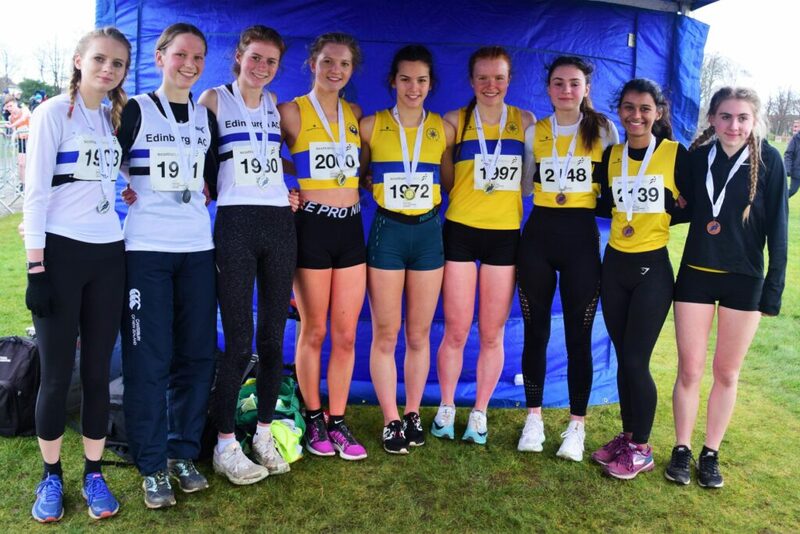 Giffnock took the team golds, as is often the case in this particular age group, as Fife AC took home the silvers and Kilbarchan AAC the bronzes. Lucas Cairns of Inverness Harriers took the win in the U15 Boys race. Lucas was first home just ahead of Harris Paterson of Giffnock and Samuel Griffin of Aberdeen AAC. Giffnock were the race winners in terms of the teams with silver medals for Inverness Harriers after their journey to Edinburgh, with Cambuslang Harriers taking home the bronzes. 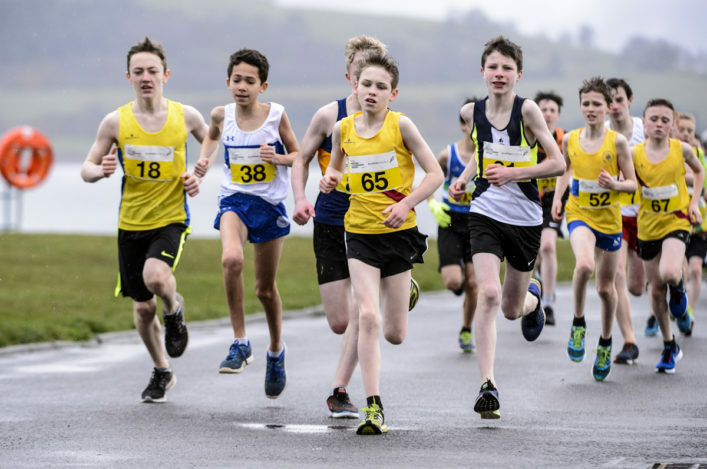 At U13 level, there were wins for two athletes who also topped the podium at the Lindsays National XC – as Anna Cairns of Inverness Harriers and Finlay Ross of Harmeny AC made it a double. Anna won the girls race from Isla Thoms of Fife AC and Phoebe Armstrong of Aberdeen AAC. There was team gold in that race for Inverness Harriers with Fife AC taking the silver medals and Ayr Seaforth the bronzes. Finlay, with Harmeny AC our host club on the day at Ingliston, won the boys race from Jamie Phillips of Kilmarnock Harriers and third-placed Fergus Currie of Garscube Harriers. Giffnock North AC took the golds in the team race with Team East Lothian in second and Edinburgh AC joining them on the podium.